Mitchell and Johnson CDD-201V Black CD Player. Available with Online Finance and Free Delivery. Mitchell and Johnson CDD-201V CD Player - A hi-fi stereo CD player with super slim disc tray and dot matrix VFD display. High quality extruded aluminium finish. 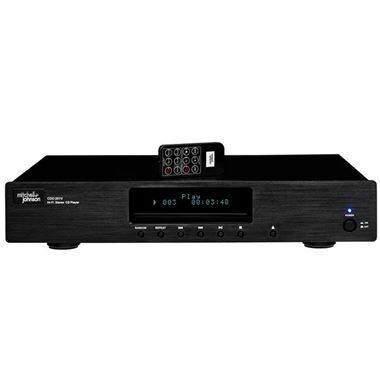 CD, MP3, CD-R, CD-RW disc compatible with digital coaxial and optical outputs plus stereo analog out. Slimline remote control handset.